Songbirds become excited at the very thought of spotting the welcome perch on an inviting feeder. However, starlings and house sparrows (and house finch) often monopolize the perches. However, a short landing area snug up against an angled, clear facing makes it suitable only for the native clinging chickadees, nuthatches, tufted titmice and woodpeckers. Black oil sunflower seeds are best suited for this high-end design. The underside of this feeder fits in the Squirrel Shield. 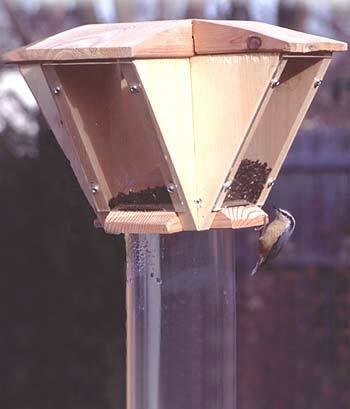 See Video of our Sunflower Feeder. 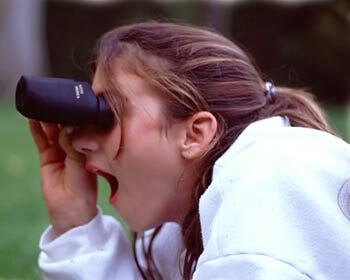 Nothing is more worthwhile or more convenient than to have on hand a small pair of binoculars that you cn stick in your pocket. This pair of compact binoculars (8 x 21mm) is multicoated and includes a strap, case, and cleaning cloth.